A report issued by VISA and Oxford Economics, the Medical Tourism industry was valued at a staggering USD 100 billion, with a projected growth rate of up to 25% year-over-year for the next 10 years as an estimated three to four percent of the world’s population will travel internationally for healthcare and health-related treatment. For years the medical travel industry seemed undervalued, yet VISA’s report accounts for growth factors – like some 340 new international airports over the next decade – and the medical travel market could soar to an astronomical USD 3 trillion by 2025. In its just-released 2016 report, industry-leading journal, Medical Tourism Index™ (MTI), listed the top 41 destinations for those seeking value-added services and high quality of healthcare across the globe. 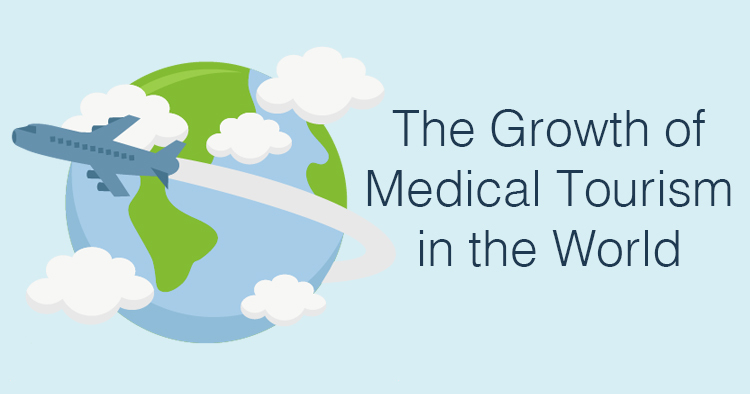 In it, the similar pattern of global growth emerges: that the United States leads in terms of market share of healthcare travel spending, but Asia’s Thailand, Singapore, and South Korea continue to thrive. 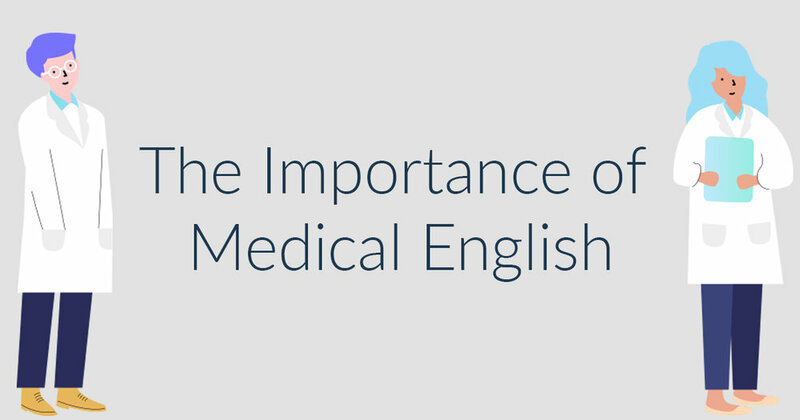 Both VISA’s and MTI’s™ findings expect China to overtake the US spot within the next 10 years due to the population’s demand for higher quality of care. The findings don’t just span the global spectrum but also the age spectrum as well; VISA expects 13 percent of all international travel by 2025 to be older travelers. Meanwhile, a recent survey of 31,000 18-34 year olds from 134 countries by popular booking site TopDeck Travel found that some 88% of them travel internationally between 1 to 3 times annually and that the number only continues to grow. The entire medical tourism and health tourism industry will descend upon Washington, D.C., September 25-28, 2016 for the 9thWorld Medical Tourism & Global Healthcare Congress. Over 3,000 attendees from 50+ countries brought USD 1 billion in new deals last year paving the way for leaders this year to catch the next wave in partnerships and medical tourism investment. Adult illnesses that can be prevented by vaccinations cost society billions of dollars each year in treatment, hospitalizations and lost productivity. And sadly, there is also the incalculable cost of losing lives. Vaccinations are not just for kids. They are important for adults too; they prevent adults from getting certain diseases and they help stop the spread of illness. Every adult should check with a health care provider to find out which vaccines, in addition to the flu, that they should get. Centers for Disease Control data show that 28.7 percent of adults aged 65+ have never had a pneumonia vaccination. When you look at rates of Hispanic adults, that number jumps to nearly 38 percent. Thousands of adults in the U.S. die every year from vaccine-preventable diseases like pneumonia. I felt guilty that I did not get a chance to share this important information about adult vaccination with my brother. Today, I’ve turned this tragedy into advocacy. In Jerry’s name, I developed a bilingual training program for our “promotores” and community health workers in order to raise awareness — especially in our Latino population. 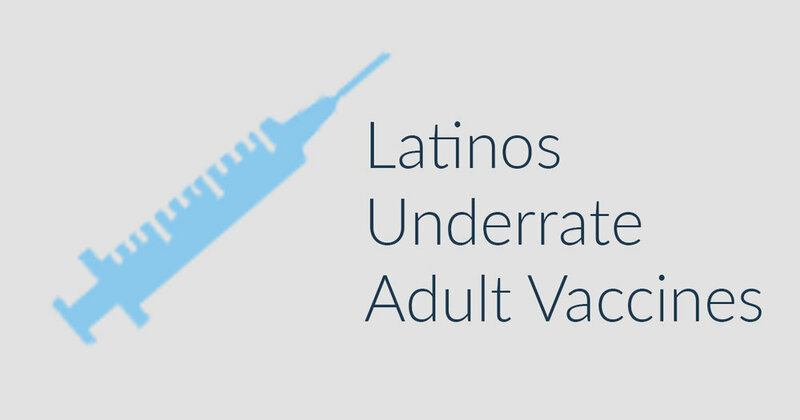 Sadly, Latino adults are among the most under-vaccinated segments of the U.S. population. Only about 33 percent of Latino/Hispanic adults in the United States got flu shots in 2015 — down 0.2 percentage points from 2014 and more than 15 percentage points lower than vaccination rates in the white community. It was the only race/ethnicity to see a decline and the lowest vaccination rate of any race/ethnicity. This was even more pronounced in young adults aged 19-49; only 25.1 percent of young Latino/Hispanic adults got the flu shot in 2015 — down nearly two percentage points from 2014 and the lowest of any race/ethnicity. Whites in the same age group had rates of 34.6 percent, and African Americans had rates of 29.1 percent. Only 64.1 percent of older Latino/Hispanic adults (65 and older) got flu shots in 2015, the lowest of any race/ethnicity and more than 10 percentage points lower than whites. For adults living with chronic diseases like asthma, HIV/AIDS, COPD, liver, kidney or heart disease, the risks of being under-vaccinated are even greater. 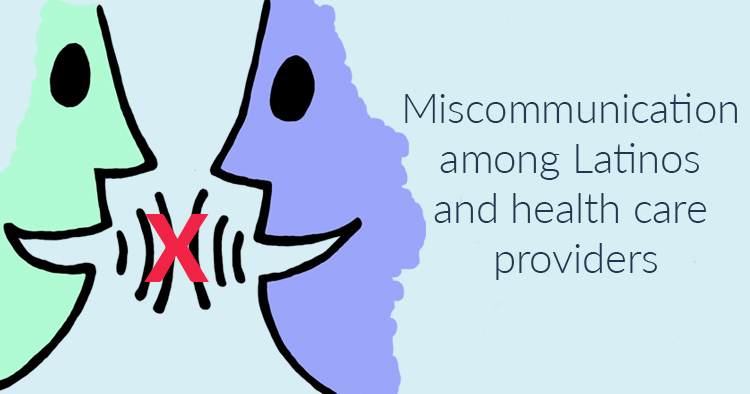 As many as one-third of adults living with chronic illnesses are at greater risk of contracting the potentially deadly pneumococcal disease. People like Jerry, whose immune systems are compromised because of cancer or other non-communicable diseases, should absolutely be vaccinated against those diseases for which they are at risk.